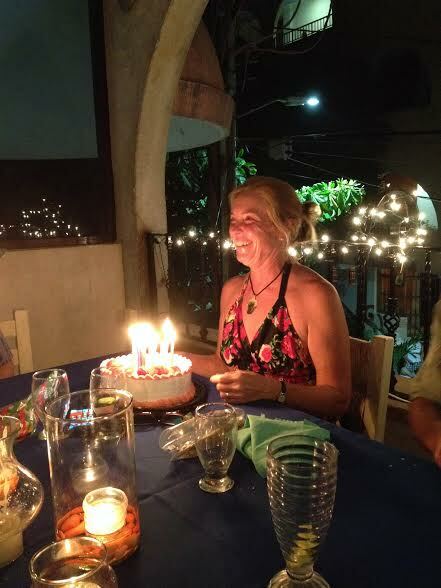 December 11 we celebrated Eulalie’s birthday in Barra de Navidad, Mexico. 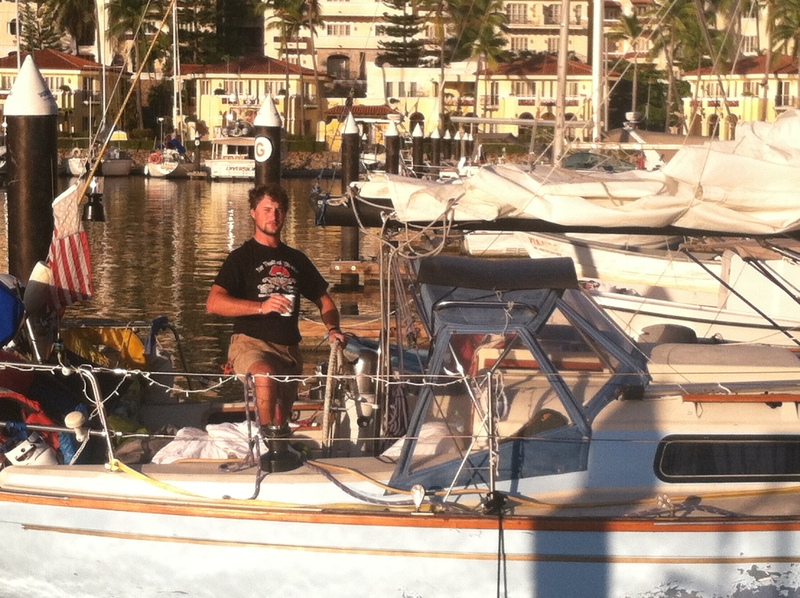 This same time last year found us in San Diego, our last U.S. port of call. We were so busy preparing for our departure that we didn’t post. We make up for this omission with photographs from two wonderful celebrations that bracket an exciting year. Lal’s smile and candles light up the night. Helping us celebrate are Meridian’s Heinz, Dominique, and Margrit, Elegant’sea’s Debbie and Chip, and French Curve’s, Mark and Cheryl. 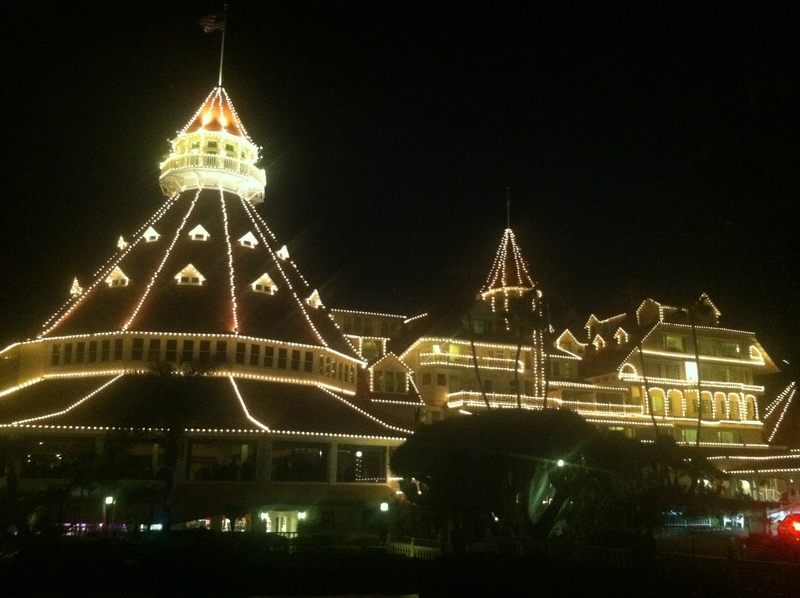 The Hotel Del Coronado, scene of last year’s festivities. These good friends traveled to surprise Eulalie. 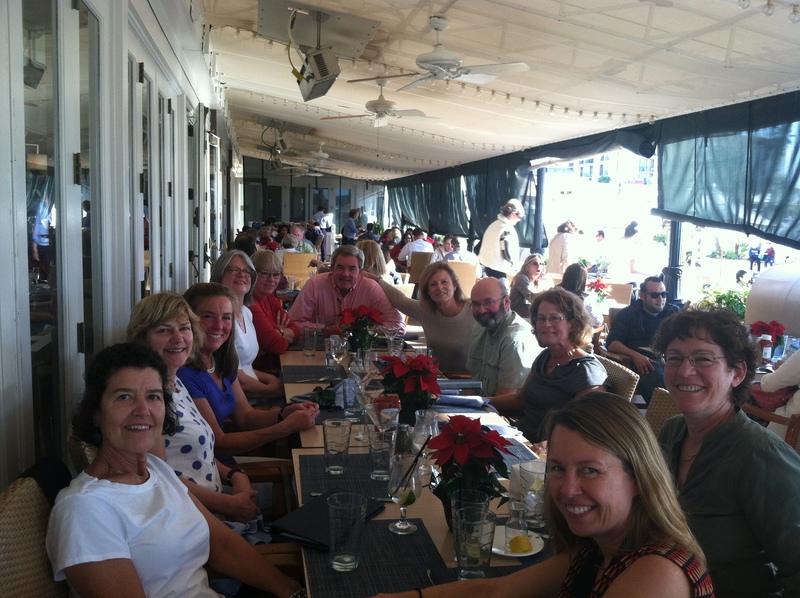 Clockwise from the top left are Karrey Rigby, Amy Ferron, Eulalie, Catherine Drews, Sally Bagshaw, John Quinn, Colleen Quinn, Brad Bagshaw, Pam Schnoor, Stacy Hall de Gomez and Betsy Chappelle. 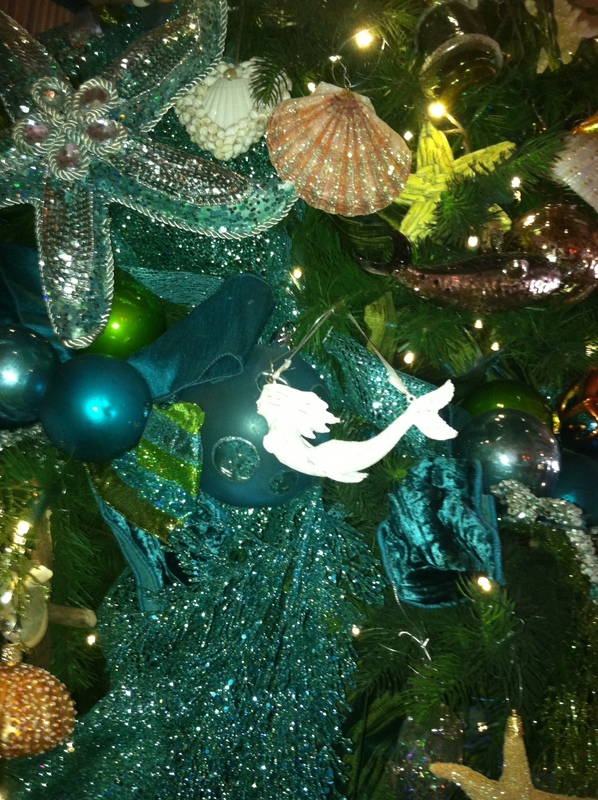 The Del’s Christmas decorations were marine themed, particularly appropriate for the birthday girl. Gather round and draw close one and all. I’ve a tale that will hold you in thrall. This is no idle boast. And it’s more than a toast. It’s the account of six decades of the Lal. Decade one, in White Plains it began. T’was as if there was some cosmic plan. The Lal’s mom to Lal gave birth. Lal emerged with tiller firmly in hand. Decade two, fine sailing she found. In upstate New York and Long Island Sound. Broken hearts left in her wake did abound. Decade three, at latitude 48 degrees and higher. To manage fish is to what she aspired. The southeast passage to be seen. Her adventurous spirit, I truly admired. Of her third decade I would be somewhat remiss. If I did not at least mention this. Lal fell within my clutches. And then we shared our first kiss. Decade four: time to pick up my pace. On Chesapeake Bay, Lal would go to race. Decade five, with her chicks still in the nest. Lal’s wanderlust still would not rest. After safely stowing our daughters. Their blue waters were among the best. Decade six, as if winding the clock back. 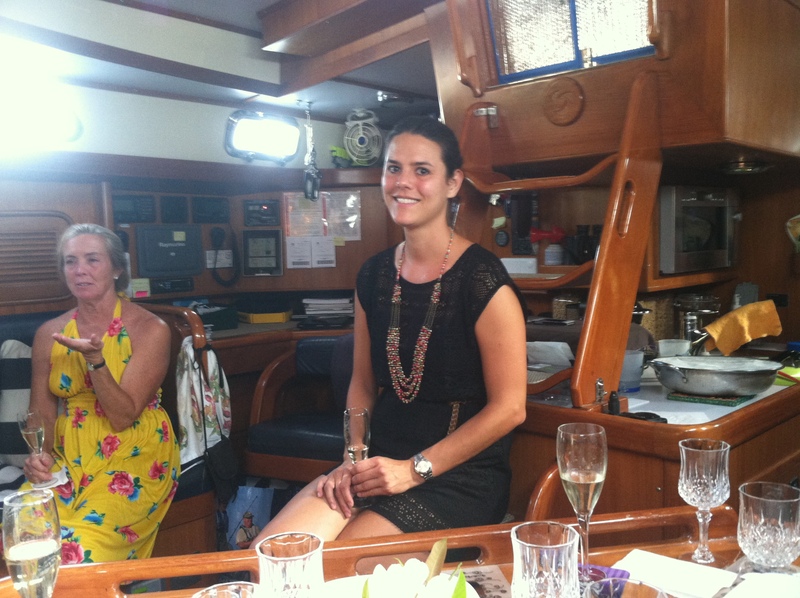 She sailed to the Marquesas on almost one tack. And as it so happened. She was promoted to Captain. For living this girl has a knack. Many years ago, or so I am told. Lal made a statement, decidedly bold. As she proclaimed “I will never grow old”. So now I will leave it up to you. To confirm whether what she told me is true. You don’t have to guess. Just take a look and nod yes. And now I am just about through. So now I say with great pride. And all my love, which is impossible to hide. Decade seven is out of the gate. There’s so much more to celebrate. Once again we will sail with the tide. 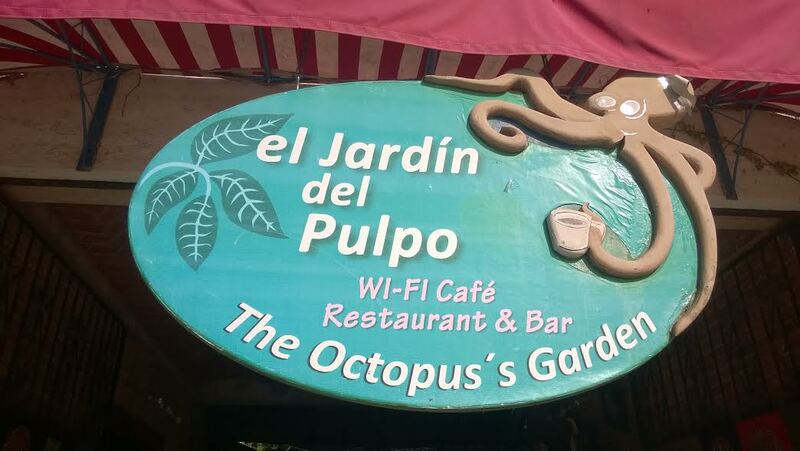 Last March and April, if we were in La Cruz chances are you would find us enjoying El Jardin del Pulpo (The Octopuses Garden). Cucumber infused margaritas? 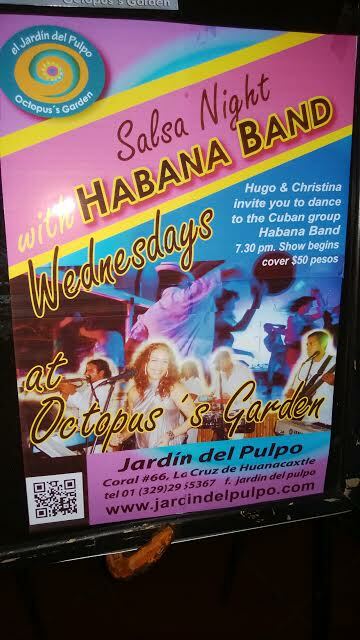 Live Cuban Salsa music and dancing? Jazz? 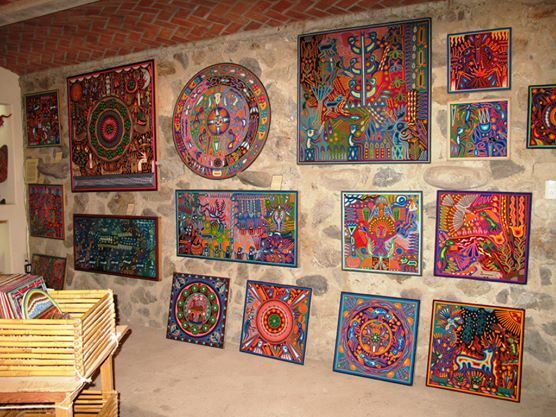 Intricately crafted Huichole art? 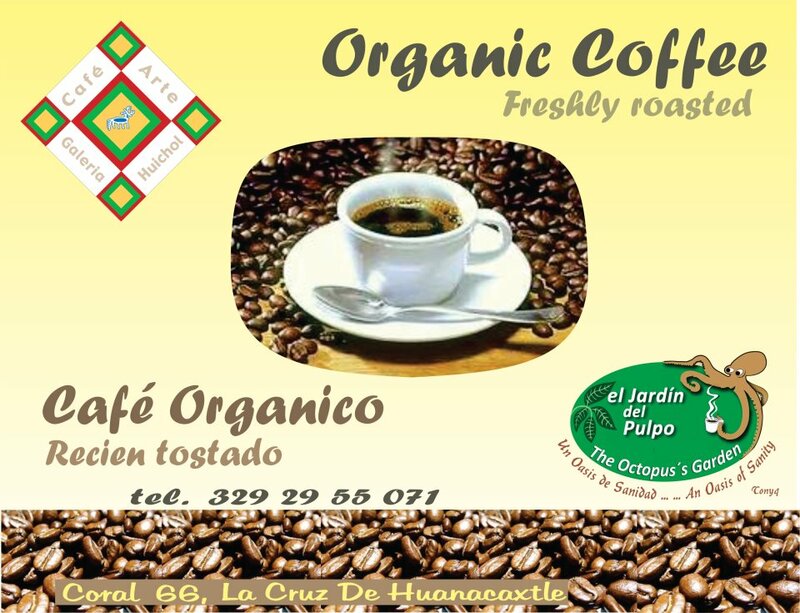 Locally sourced coop produced coffee? The Garden had it all and it was our go to spot for a memorable evening away from Elizabeth Jean. 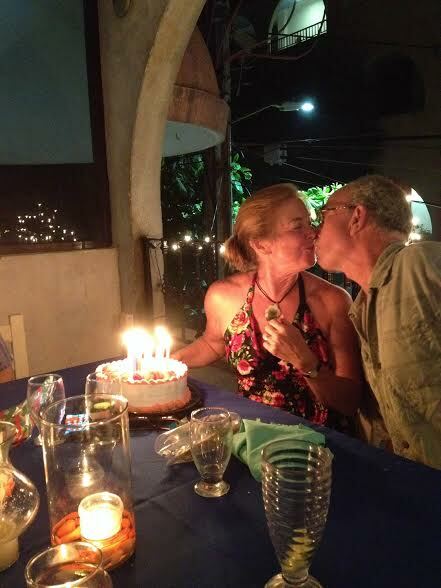 Aruna and Wayland, two British expats, created the Garden decades ago after sailing their self-built catamaran from England to Banderas Bay. Remnants of their vessel decorated the bar area and a scrap book filled with faded photographs showed the couple working on the hull or sewing sails. After settling in La Cruz, the couple’s sensitive tentacles reached out and touched the community with the same thought and care with which their hands had created their sailing vessel. Our hope of again being in Octopuses Garden, however, was not to be. 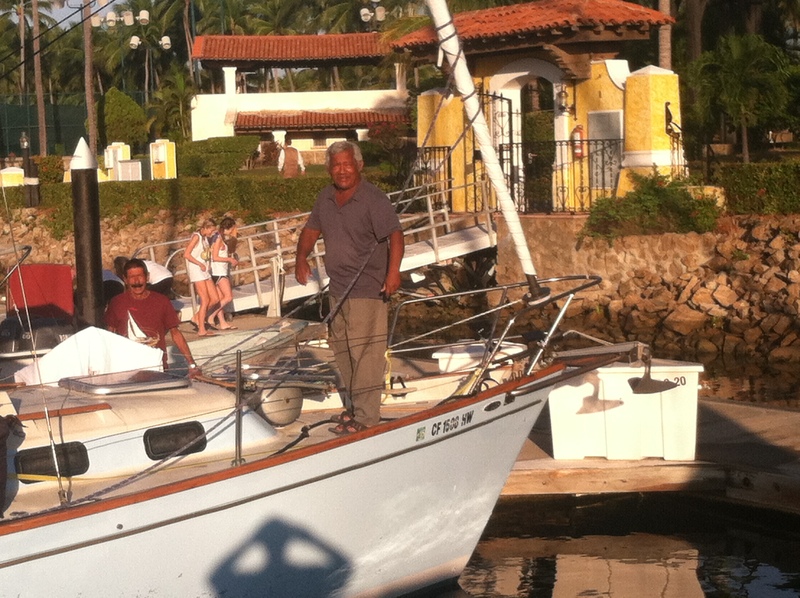 In May, shortly before we left La Cruz, the cruisers net brought the said news that Wayland was seriously injured in a fall. 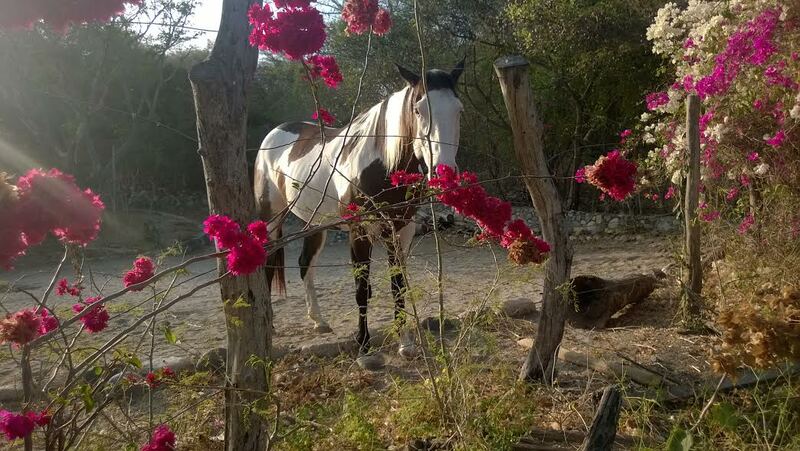 The La Cruz community rallied to raise funds for his care. On our October return to Banderas Bay we heard Wayland’s spirits had rallied, but his physical condition had not much improved. Our visit to Coral Street found a for sale sign on the Garden’s door. We know we are not alone in our fondness for this special place and our hopes for only the best for Aruna and Wayland. The Garden’s whimsical sign hints at the magic within. 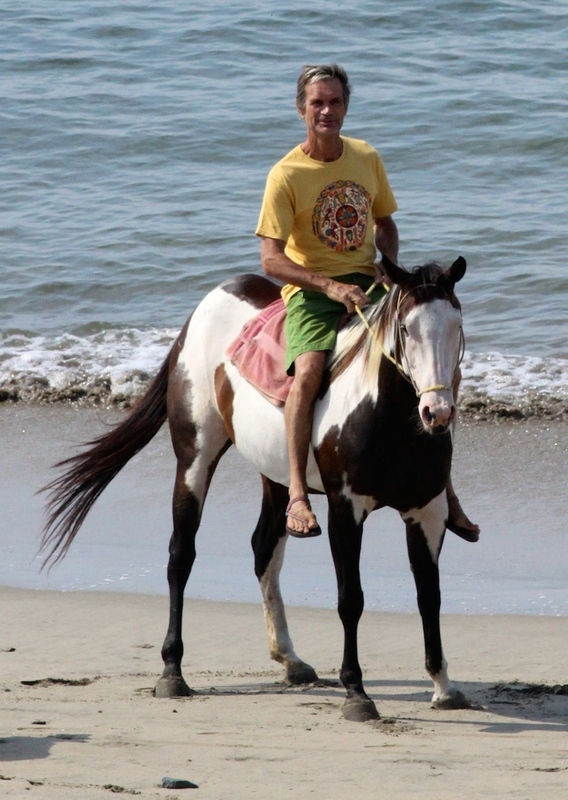 In similar fashion, Aruna and Wayland found small scale coffee growers and brought delicious roasts back to La Cruz. 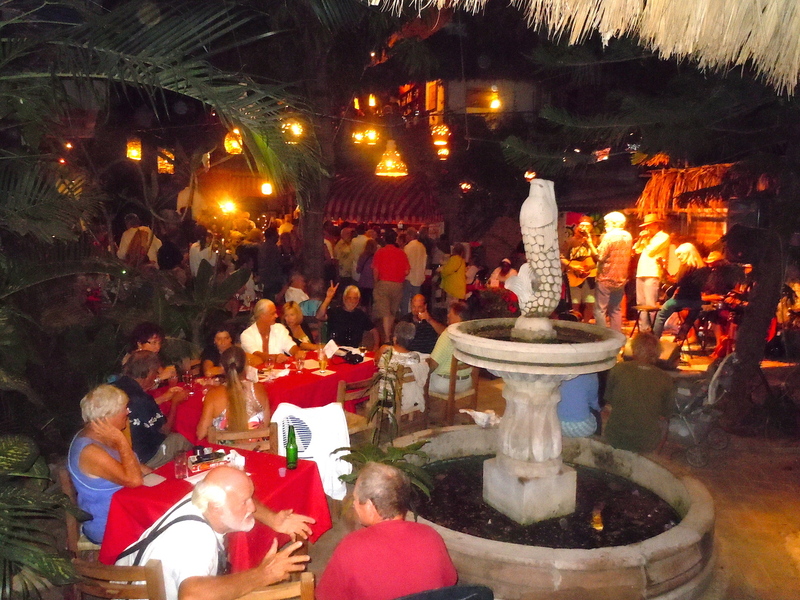 Many local and international artists found a welcoming stage in the Garden’s courtyard. Habana Band from Cuba scorched the upstairs dance floor. 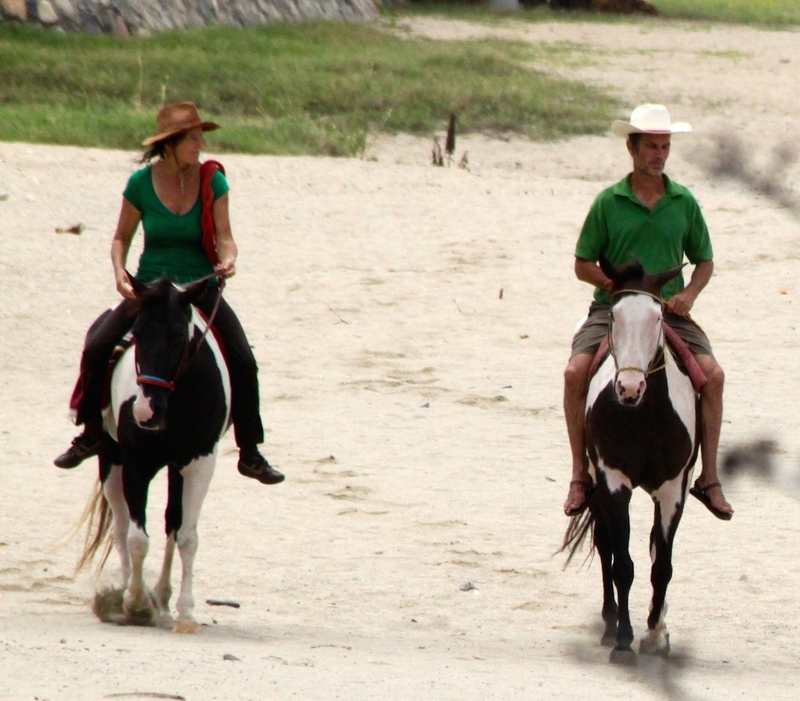 Wayland and Aruna have raised horses in their spare time. 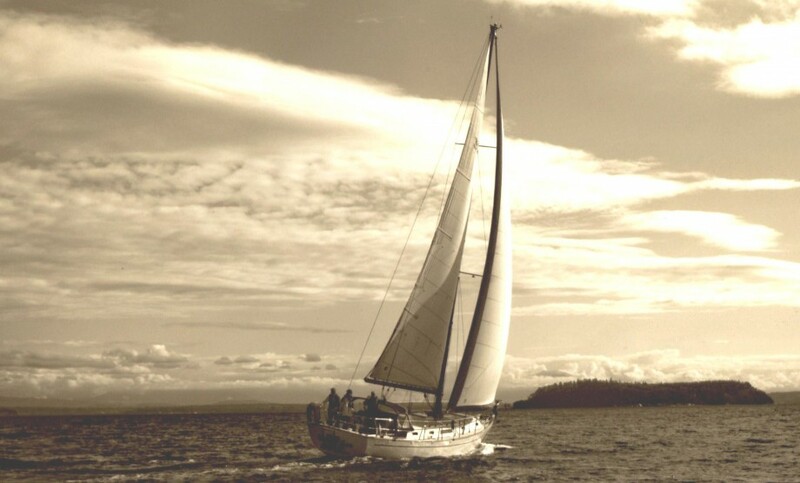 Every sail boat we meet has its own unique story. With that said, there are certain similarities to some of these tales. For example, we are not the only middle aged couple from the Pacific Northwest that is out here. 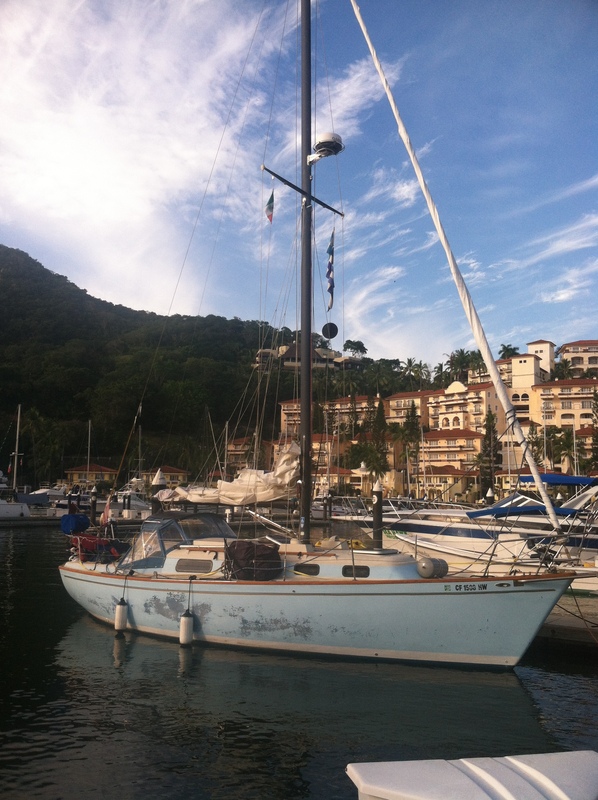 Mi Vieja (my old lady) stands apart as the only sailboat we’ve met (to date) who is owned by Alex, a retired U.S. Navy vet from Nicaragua and crewed by Julio a longtime fisherman and weather whisperer, and Martin a twenty three year old Californian. 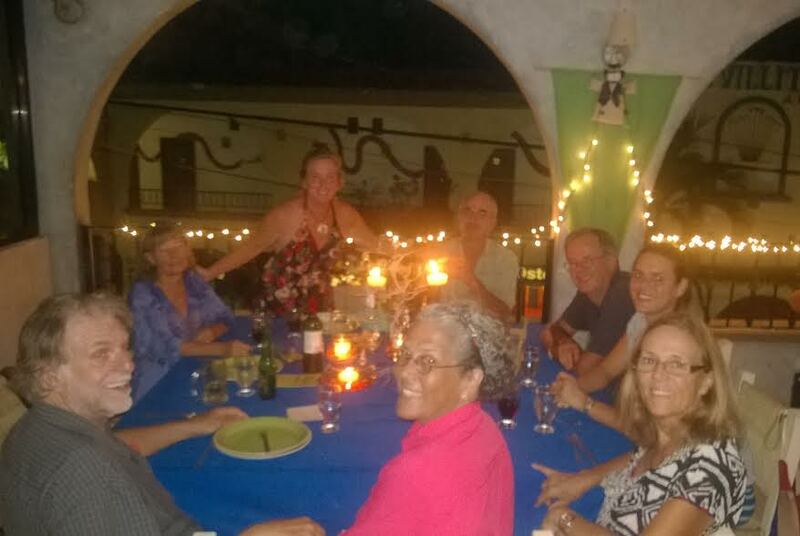 We met Mi Vieja and her crew in Barra de Navidad where they were resting on their trip to Nicaragua where Alex plans to retire. The last we heard, they had made it the 560 miles to Hualtulco where they were waiting for a weather window to cross Bahia de Tehuantepec. 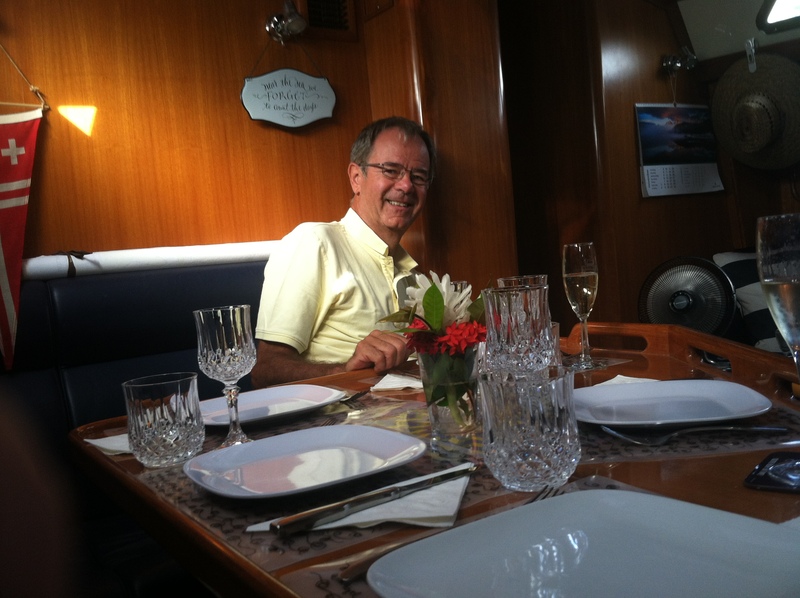 Julio at the bow, with Alex to his left on the dock. Martin, striking a pose as Mi Viaja departs for Hualtulco. No, this is not the title of a new Jimmy Buffet tune. Rather, here lies a tale of shore side serendipity that illustrates the cruising community’s cooperative spirit as well as why it some times takes a village to complete a boat project. 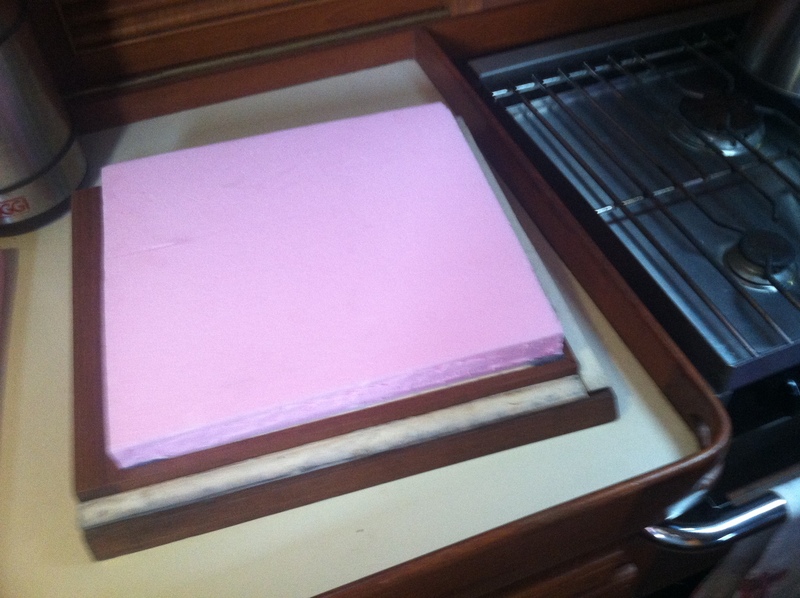 We knew we wanted to add insulation to our refrigerator and knew that Home Depot carried the foam insulation for the job. After a long hot day going to and from Home Depot and concluding that we just didn’t want to get the 8’x10′ sheet available, we were walking to the shower at Paradise Village and spied the handsome fellow below on a dock box. 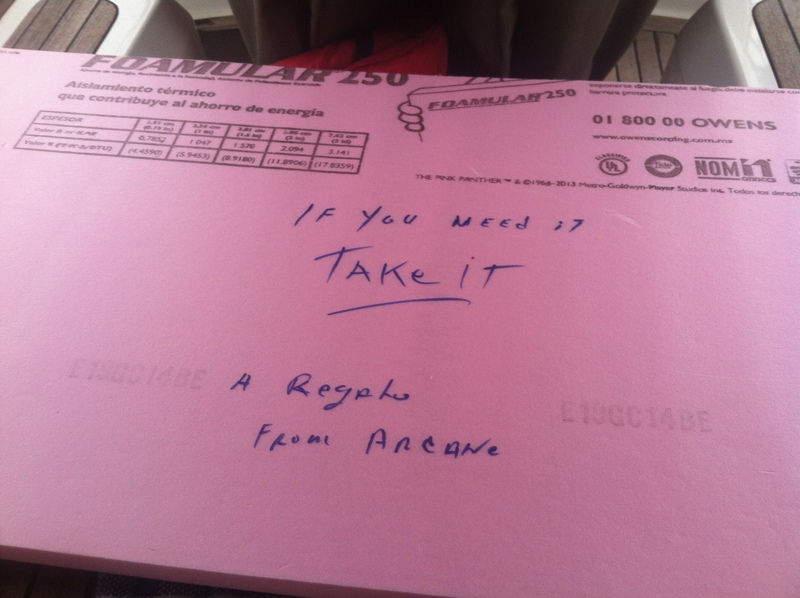 The elusive Pink Panther was there before us; could our search be at an end? 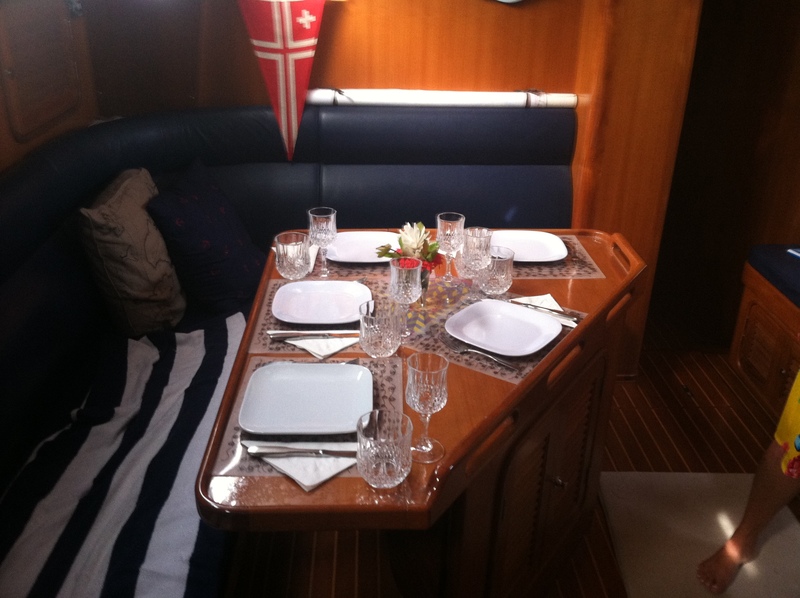 Indeed, the Sailing Vessel Arcane had just finished a similar job and was leaving the remains for a lucky passerby (e.g. us) as a “regalo,” or gift. 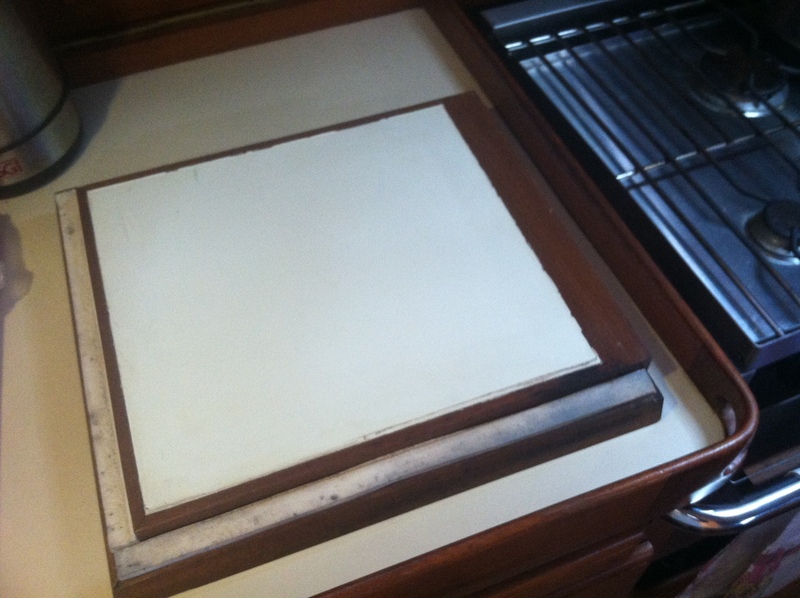 Our refrigerator lid before the Pink Panther. 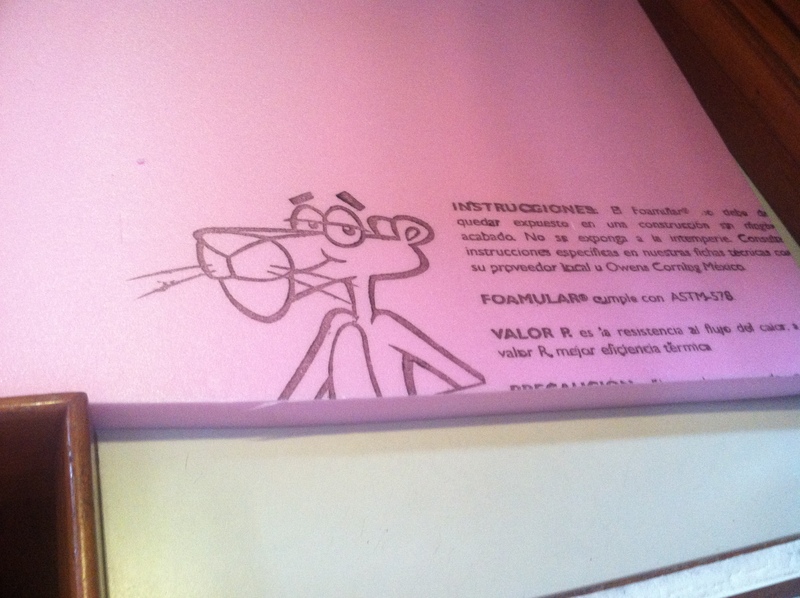 Our refrigerator lid after the Pink Panther’s visit. Lincoln’s 1863 proclamation establishing the last Thursday of November as Thanksgiving, specifically invited “those who are at sea and those who are sojourning in foreign lands” to join in giving thanks. In accordance with Lincoln’s proclamation, November 27, found us on Meridian, our friends the Leuenbergers’ Tayana 48. 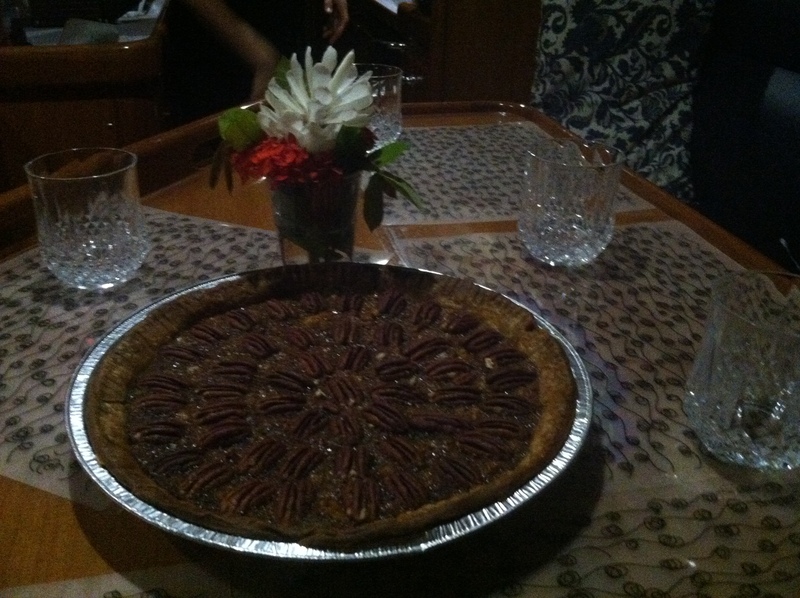 The Leuenbergers provided the turkey, stuffing, sweet potatoes, corn and pecan pie. 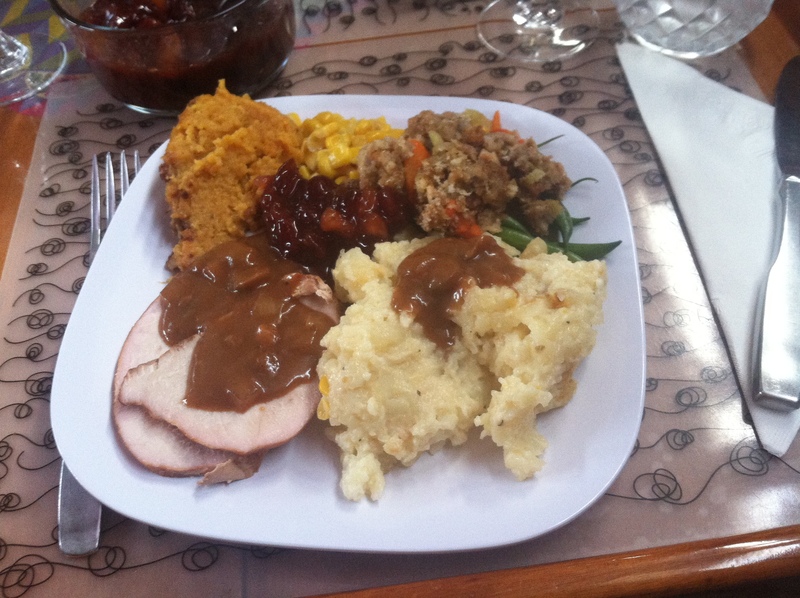 We brought the mushroom gravy, mashed potatoes, and cranberry sauce (craisins are dynamite for this side dish). We are thankful for the opportunity to have shared this holiday with this tight knit family and for all of our blessings this past year. Meridian’s table is set; cozy seating for five. 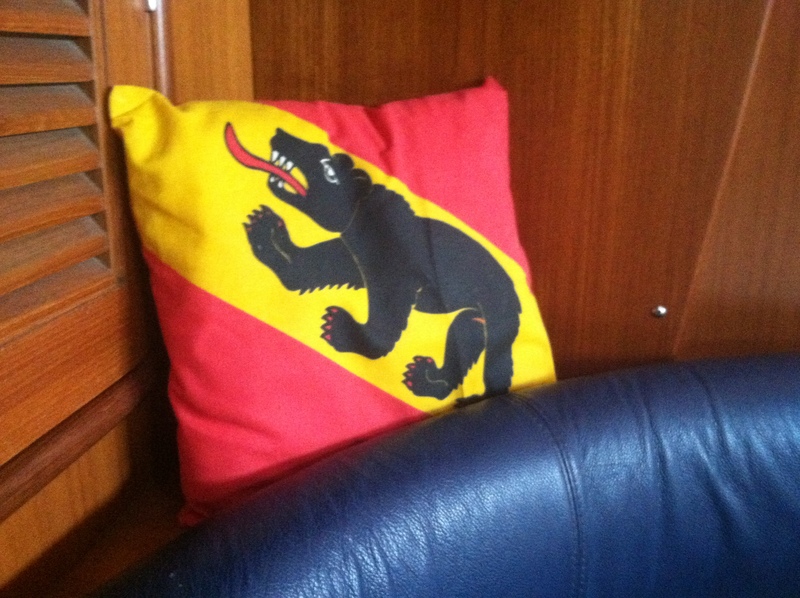 The burgee hanging behind is from Switzerland as are the Leuenbergers. 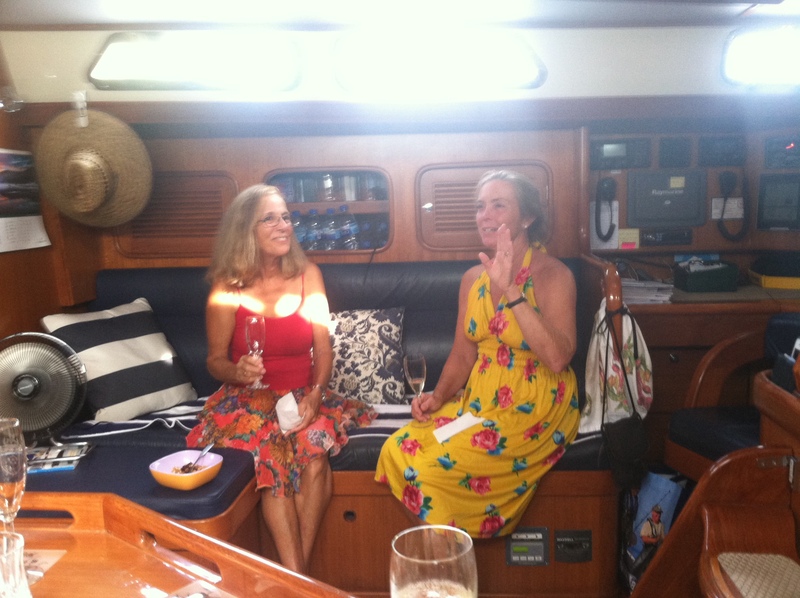 Margrit and Eulalie grace the salon in their tropical finery. Dominique, who prepared much of the feast, is relaxed with the cooking well behind her. Dominique is taking time off from pursuing a career in international business to share her parents’ adventure for a while. Dominique used pancake syrup as a substitute for corn syrup. Muy rico, as we say en Espanol. 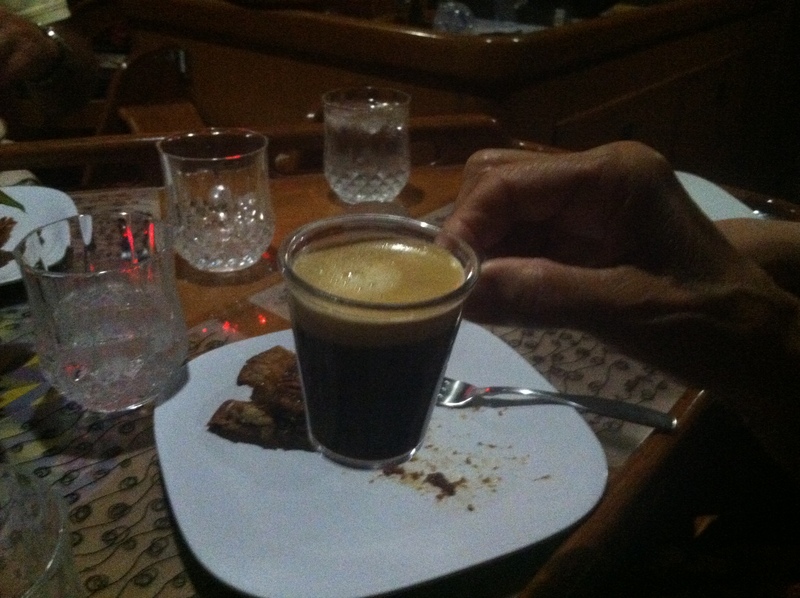 Meridian’s barrista serves up a mean espresso. A perfect end to a Thanksgiving we will long remember.